The U.S. Agriculture Department released its much-anticipated crop data report, revealing sharply reduced corn supplies due to continuing drought conditions. Corn yields are now estimated to come in at the lowest level in over 15 years, and the corn crop size will be the lowest in 5 five years. Coupled with the UN's warning Thursday about surging food prices and the risks of a global food crisis, this indicates that the impact of ethanol fuel programs on world food supplies is worse than ever. 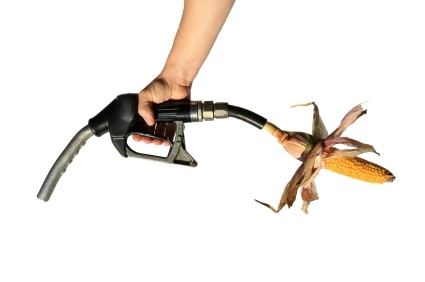 These food-to-fuel programs use government mandates and subsidies to divert corn and other grains from being used as food, pushing them into ethanol production instead. EPA administers these ethanol programs, but it has failed to even acknowledge their lethal effect on world hunger. In fact, the agency has now passed the 300-day mark in delaying its response to a formal petition on the matter. In the spring of 2011 a peer-reviewed study indicated that nearly 200,000 lives per year are lost due to malnutrition caused by these programs. In October, 2011, CEI and ActionAid USA, an anti-poverty organization, formally petitioned EPA to take corrective action. The agency, however, has repeatedly pushed back its response date, taking yet another 90-day extension in late June. CEI General Counsel Sam Kazman stated, "EPA Administrator Lisa Jackson repeatedly has claimed that, when it comes to saving the planet, EPA can't wait. In 2009, for example, she declared that 'there isn’t a moment to lose’ in acting on climate change. But when it comes to preventing, or at least acknowledging, the thousands of deaths to due to ethanol-fueled malnutrition, Ms. Jackson is an expert at playing the waiting game." "No matter how much of the U.S. corn crop is ruined by drought, no matter how high corn prices get, no matter how many people in developing countries are imperiled, the Renewable Fuel Standard requires that billions of bushels be used to fuel cars rather than feed livestock and people. This is crazy," said CEI Senior Fellow Marlo Lewis. "Congress should repeal this Soviet-style production quota system. In the meantime, Administrator Jackson should use her waiver authority to adjust the corn ethanol component of the biofuel mandate."